DJ Booth Hire London & Surrey for Weddings, DJs, corporate events and many more applications. 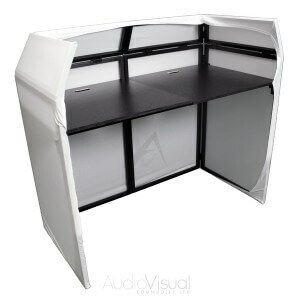 Are you looking for a DJ booth to hire for your event in London & Surrey? 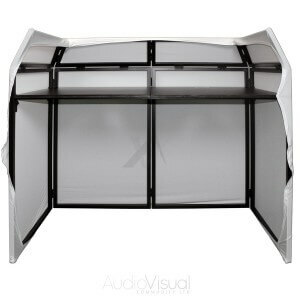 Our DJ booths are extremely portable and come with a choice of black or white cover cloths, as well as the option of black or white starcloths with white LEDs (which make a great focal point)! 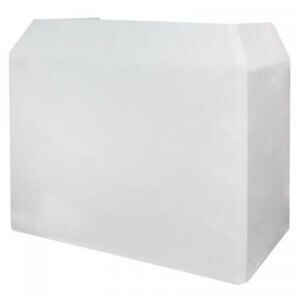 Our LED DJ booth hire packages are supplied with a sturdy shelf, self supporting cross bar and comes all complete in a neat and easy-to-carry bag – no extra bits to lose or forget. Setup time is about 5mins. 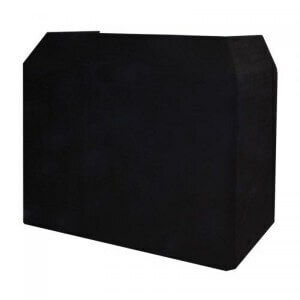 All of the DJ booths are supplied with a black lycra cover as standard. You can upgrade to a white lycra cloth so you can place a light behind to give a great stunning effect. 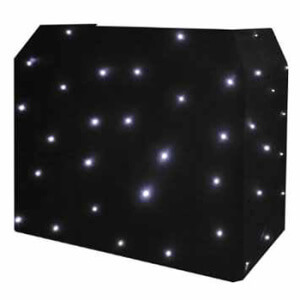 You can upgrade your DJ booth hire to a full starlit LED DJ booth. 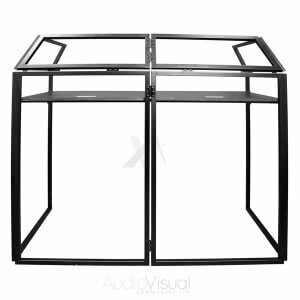 The pictures below demonstrate why DJ booths are now becoming one of the popular hire items in the wedding and corporate industry, as these hide all the cables that DJ’s use on their table and hide away the equipment you don’t need to see. Even if you choose to hire one of our iPod sound systems where you don’t have a DJ… A professional DJ booth still works a treat, as it give you and your guests a great place to keep your iPods, iPads and laptops safe while hiding away all the cables. Prices start from £40 and various upgrades are available.